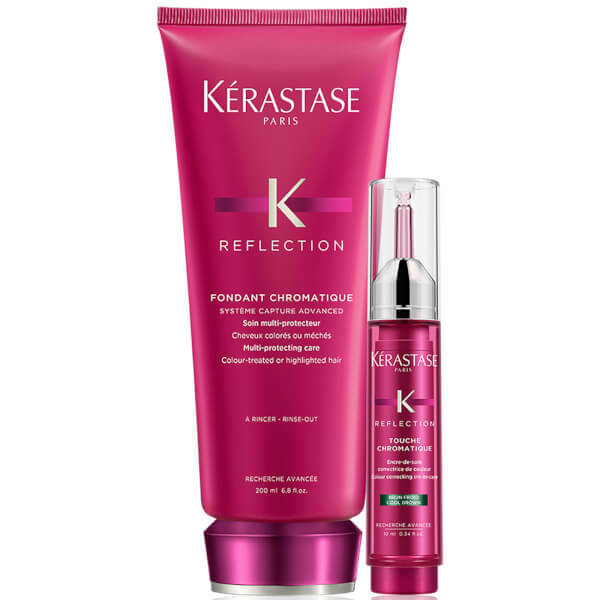 The Kérastase Reflection Fondant Chromatique & Touche Chromatique Duo in 'Cool Brown' offers personalised care for your brunette, colour-treated hair. Combining an ink-in-care, highly concentrated hair dye formula with a nourishing, shine-enhancing conditioner, the pair work in tandem to correct and brighten colour for restored softness, colour luminosity and radiance. A colour-correcting hair dye formula specially developed to be mixed with Fondant Chromatique or Masque Chromatique. The ink-in-care formula helps to revive and correct your brown hair; it neutralises unwanted red undertones to enhance cool brown locks. The highly concentrated hair dye revives colour whilst being gentle to hair; it helps promote colour evenness and prevents fading for long-lasting, vivid colour. 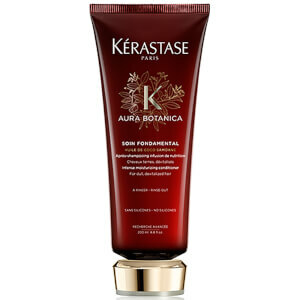 When mixed with the conditioner, it treats the hair fibre to promote healthy-looking strands. Expect smooth, shimmering and radiant tresses with vibrant, revitalised colour.